After not seeing each other through the first two months of the season, it's the second meeting in a week as the Bulldogs (10-6-1-2, 2nd Island) again tonight travel to face the Clippers (14-6-0-0, 1st Island) at the Frank Crane Arena. These teams met here a week ago tonight, a 5-4 OT win for the Clippers in a wild and crazy game. The Bulldogs were last in action Tuesday afternoon in Powell River where they fell 4-3 to the Kings in yet another OT game. The Clippers were last in action Saturday night at home when they won their second straight, 3-2 in overtime against the Penticton Vees. The Bulldogs will be short-staffed tonight with some big holes in their line up as I don't expect Evan Tironese to play due to injury, and Scott Clark will also not play as he received an automatic two game suspension for his Major Penalty for a Blow to the Head in Powell River on Tuesday. On the other hand, the Dogs will get some reinforcements as I expect Drew Weich to make his 'Dogs debut tonight. Tironese and Clark are tough to replace - any team without 2/3rds of their first line and their top two scorers is going to miss those players for sure. Having said that, I think that the Bulldogs should be confident after how they finished the game without Tironese and Clark on Tuesday in Powell River because it was very impressive to watch. Everyone to a man up and down the roster has to step up and up their game, plain and simple. With the depth the Dogs have shown and with how the Coaching Staff has played all their players in as many situations as possible and tries to keep all four lines in it, I think it's an adjustment that they can make. 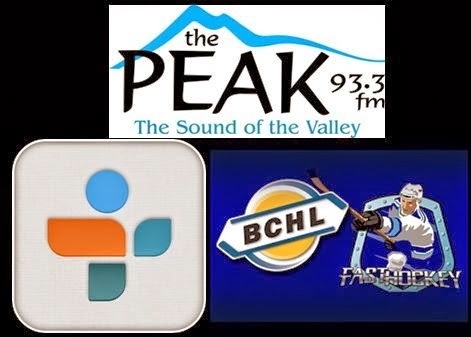 Pacific Chevrolet Bulldogs Hockey on 93.3 The Peak FM with Bruce MacDonald providing the Colour and Analysis, Dan Tisserand compiling the team and player stats and play-by-play called by myself gets underway with our pregame show at 6:45 and the puck drop coming up at 7:00pm. Tonight's 2nd Intermission guest is Jacob Bestebroer, a.k.a "JB", the Director of Scouting and Colour Commentator for the Chilliwack Chiefs, who the Dogs host tomorrow night at the Dog Pound.